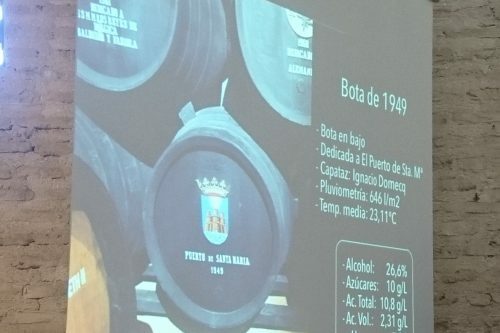 On January 17th, 18th and 19th a group formed by 10 professionals from Japan visited the wine region of Jerez to participate in a training programme organised by the Sherry Academy. The visit was part of the prize awarded by the Regulatory Council to the winners of the Venenciadores Competition which is held every year in Japan. Two of the best venenciadores of 2011 and the winner of the Sherry Cocktail Competition were part of the group of guests. Together with the prize winners, seven other professionals from the drink and wine sector, including the president of the Japanese Barmen’s Association, Hisashi Kishi, and the writer and representative of the Sherry Committee in Japan, Yoshiko Akehi, took part in the different training activities.